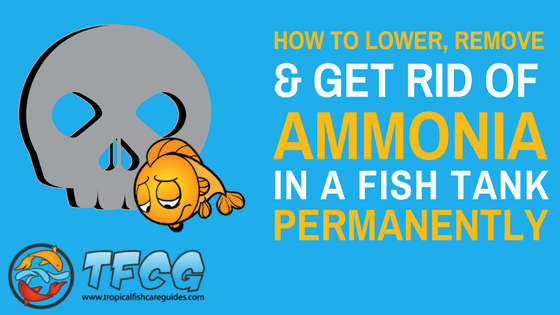 If you have an ammonia problem in your tank you should be worried, ammonia is the most harmful toxin for your fish and you need to fix it fast. So rather than waste your time with the science behind it, here are 10 things you should do right away if you have an ammonia spike in your tank. 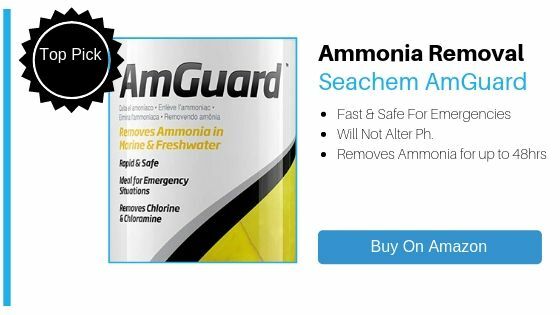 Click the button below to see some GREAT Ammonia Prevention supplies so YOU can compare prices and ratings before you buy. The products listed all help with reducing ammonia and come in pellets, neutralizing drops and even media for your filter. YOU Won’t Beleive Our #1 Pick! How to Check Your Ammonia Levels Without a Test Kit? If you do all of these things you should start to notice an improvement within a day or two. If the problem persists then continue to perform water changes and the steps noted above until you notice an improvement. We will go into each step in more detail below, but first, watch this short video that will give you a better understanding of the ammonia problem. One of the first things you should do when you notice that your ammonia levels are high is to perform a 50% water change. The water change won’t remove all the ammonia, but it reduces the amount by adding clean water which will allow your biological filter to catch up. This is all part of the nitrogen cycle and you can click here to see 5 Fundamentals Of The Fish Tank Nitrogen Cycle explained in an easy to understand infographic. Over time fish waste and uneaten food will accumulate in your gravel and start to produce ammonia. When you complete your water change it’s a good time to also clean your gravel. Now that you’ve completed a water change and cleaned your gravel you need to identify the underlying symptoms of the ammonia in your tank. Usually, it’s one of the following items below. Each time you feed your fish be sure to remove any uneaten food floating around or any large uneaten chunks on the bottom of the tank. Just like fish waste, rotting plants will also produce ammonia, so remove any dead or rotting plants as soon as you notice them. Keep this in mind: If you have just set up a new tank every new tank will have high levels of ammonia at first, this is okay, it’s all part of the nitrogen cycle as baceteria is building in the filter media. If you just set up your tank the best thing to do is wait for your tank to cycle. If you have a large community tank with lots of hidding places, it can be tough to notice dead fish. But if you can’t seem to keep your ammonia levels down, I would suggest looking under some rocks, you never know what you might find. Your filter is one of the most important pieces of equipment in your tank. The filter is where your beneficial bacteria will grow. This bacteria is what breaks down the ammonia so that your tank can cycle. If your filter is clogged and water isn’t flowing freely over the bacteria, then the ammonia will not be broken down to less harmful nitrites and you may experience an ammonia spike. Check your filter tubes, cartridges, media, and impellers, if needed clean your filter. If you have an ammonia spike your fish may become lethargic and likely not eat as much, take this time to cut down on feeding. 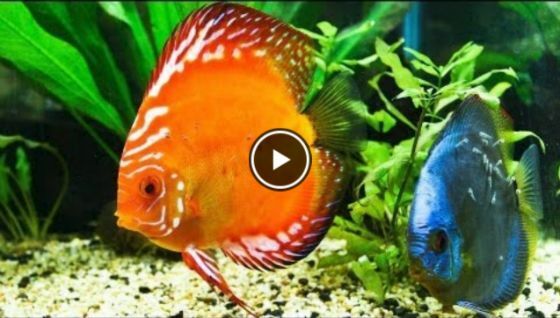 Try to feed your fish only once per day and ensure all the food has been eaten. Anything left behind will just add to the ammonia levels. Sometimes beginners will add too many fish, too fast. When you have too many fish, the bacteria that is building up in your tank hasn’t established itself and simply can’t keep up with the amount of waste produced by the fish. Add fish slowly and allow your the beneficial bacteria to develop over time. If you do all of the above and still have an ammonia problem you can start to add chemicals like ammonia-removing pellets to your filter. Another good product is Seachem AmGuard which can be used for emergency situations and good for up to 48hours. Keep in mind that chemical fixes are only temporary and you should still try to find the root of your ammonia problem. It’s likely overfeeding, overcrowding, the biological filter hasn’t developed or your filter is clogged. If all else fails, continue to do water changes every day/other day until the ammonia levels drop down. If you’ve completed all the above steps hopefully you’ve removed or at the least lowered the ammonia levels in your tank. Well, since I’m sure you don’t want to go through all this work for the second time you need to monitor your water parameters by testing your water weekly with a test kit. As you use your test kit it’s important to understand that you are hoping for an ammonia level of near 0, but this may not always be possible as your fish are constantly producing waste. Well, you can use an awesome chart found on ecofilms.com that shows you when ammonia will become toxic to your fish, depending on your PH levels and temperature. One important take away when you check out the chart is that the warmer your water is, the less ammonia it takes to become toxic to your fish. Prevention is all part of a bigger picture in maintaining your aquarium and keeping a regular cleaning schedule. 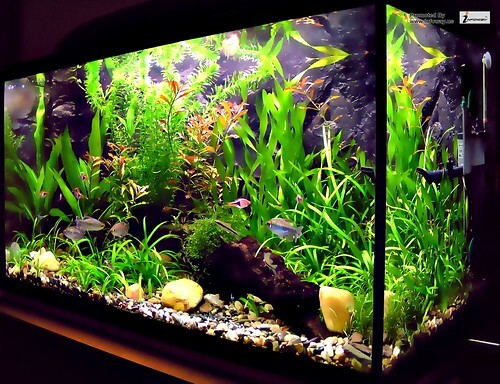 Everyone should read this article on cleaning an aquarium. To my knowledge, there isn’t any way to do this. Most aquarium stores will test your water for free. But if you have a tank you should have your own and the API Master Test Kit is fairly inexpensive and very reliable.